Whip it, whip it good… your guests will love these little bites of goodness. 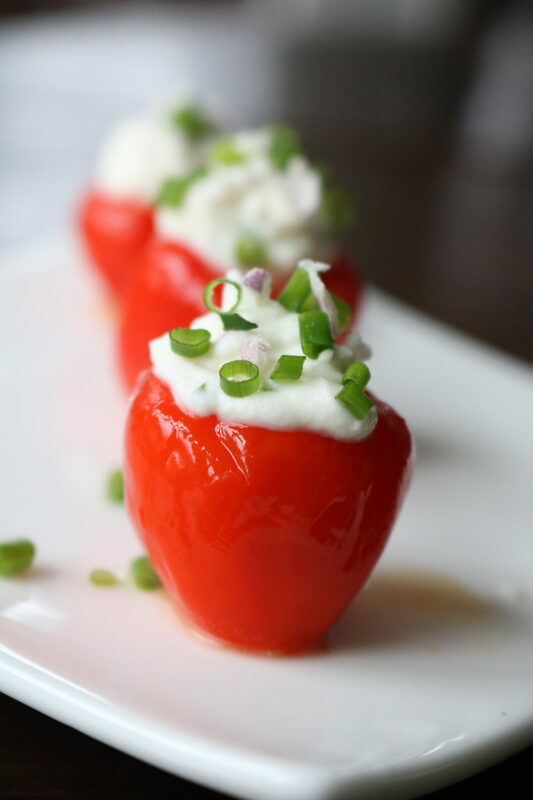 So whip up these Whipped Goat Cheese Stuffed Peppadews tonight! Combine heavy cream, goat cheese, olive oil, white balsamic, chives, red onion, salt, and lemon zest to a deep mixing bowl. Mix on high with a hand mixer until smooth and airy. 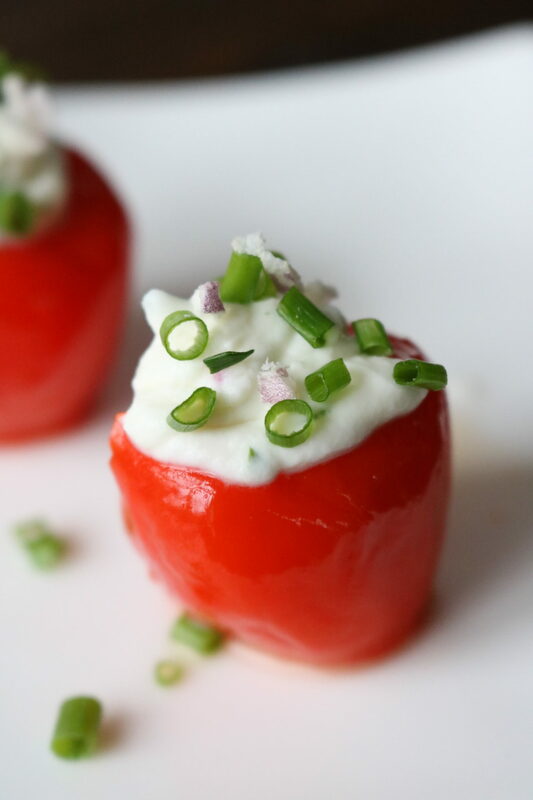 Transfer to a plastic bag; cut the corner and pipe into peppadews. Top with chive and freeze dried red onion. Serve immediately. Enjoy!